Breeding to top Quality Studs. 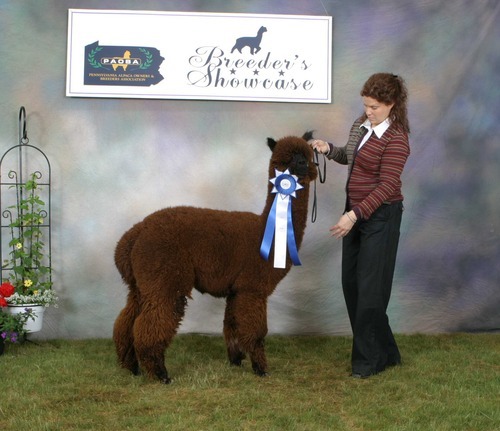 Hespera is ¾ Peruvian and our prize black female. Her conformation and bite are correct. Her fiber is absolutely wonderful with density, crimp and a fine handle. She was always in the top ribbons. 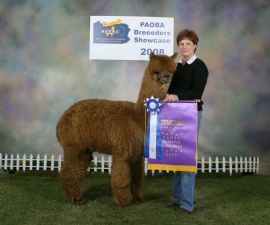 Hespera now has 4 fantastic offspring - Magic is a 6X Champion; Viking has 4 championships; Velvet placed 2nd and 4th at her first shows; her newest arrival is Cara Mia - a beautiful medium brown female sired by Elixir. Beautiful 1/4 accoyo herdsire starts his breeding debut. VIKING'S show record leaves you with no questions. 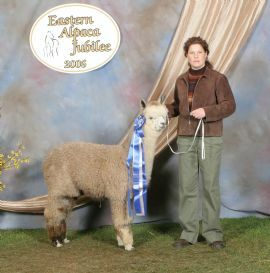 Multiple 1st and championships, plus a 1st at the AFCNA Continental Fleece Show and COLOR CHAMPIONSHIP at the AOBA Nationals. We can't wait to get him working!! Perfect conformation coupled with amazing fleece make this VIKING a proud new member of our herdsire row. Get in on the action,, only a few introductory breedings remain!!! 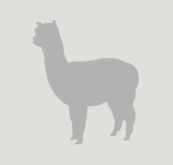 60 day free board included with all purchases, after 60 days $3.00 a day board for all animals over 8 months of age. All breeding stock comes with full reproductive guarantees. 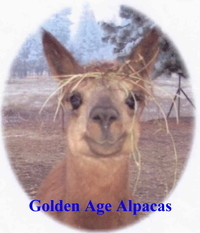 All Cloverleaf Alpacas and Golden Age Alpacas are guaranteed healthy, our farm is TB and BVD free. No hassle purchases- we make it easy for you. Need special terms? Just ask we're willing to work with you!